There are many different solutions for reducing wrinkles and age marks on the skin. These range from long term permanent treatments of the skin to formulations that have immediate, temporary and only optical effects on the skin. In most formulations and products, a combination of a permanent solution with an immediate effect is desired. In this blog post, I will introduce the terms “anti-aging”, “anti-wrinkle effect”, “immediate anti-wrinkle effect” and follow up with a few points explaining why cellulose fibrils can potentially give an immediate skin anti-wrinkle effect. Cosmetic products are one of the most exciting application areas for microfibrillated cellulose (MFC). The opportunities within this field are almost endless as Mr. Rainer Kröpke from Cosmacon GmbH has learned when working with MFC in cosmetic applications. Mr. Kröpke has a long experience in formulating cosmetic products first at Beiersdorf (Germany) and since 2012 as a consultant. Read below his interview where he shares his experiences with all our blog readers. 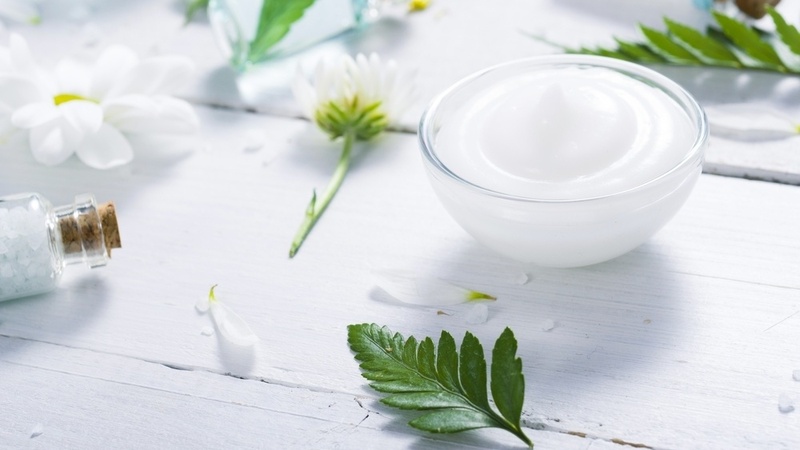 Microfibrillated cellulose (MFC) has many properties wanted in cosmetic products: good skin feel, desired rheological properties and improved stability of formulations. Moreover, it is a natural raw material, an increasing trend in cosmetics. MFC is made of natural cellulose sources and can be prepared by different processes. Both the source and the process determine the composition of the MFC and possible impurities that the MFC could have. It is, therefore, essential to have good control of both the composition of the material (see also our blog post about the raw materials of MFC) and of the process to prepare it. This is especially true when it is to be used in certain applications. Cosmetic products are an example of applications where the purity of MFC is essential since it affects us, our society and our environment all at once.